Nara is an ancient capital of Japan, where traditional beliefs and religious rituals have been preserved over centuries. Nara lies close to Osaka and Kyoto, 370 kilometers west of Tokyo, and its surrounded by nature. 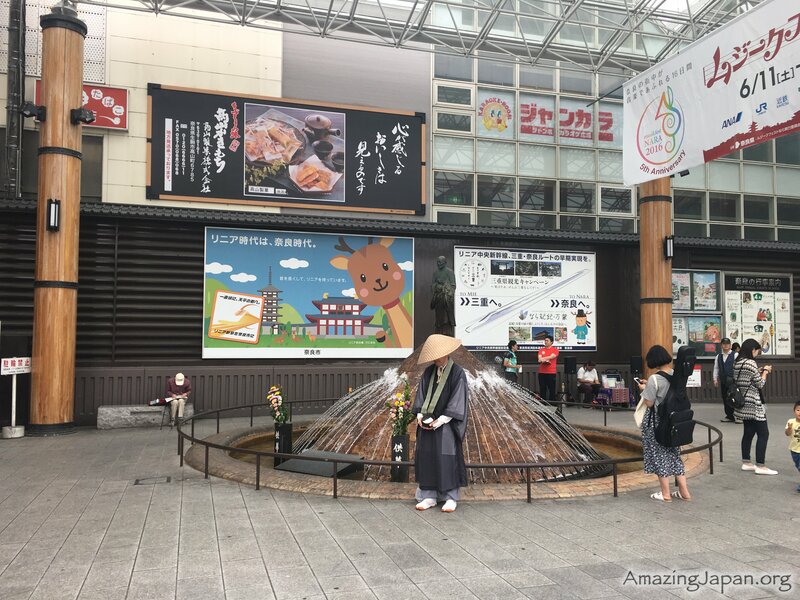 There is a special animal connected with the sacred places of worship in Nara, the Sika Deer. Legend says, that the deity, Takemikazuchi-no-mikoto arrived 1,300 years ago on a white deer. The people have always respected and protecded deer, because they are considered messsengers of the gods. Deers in Nara are wild, but people take care of them. Injured, sick or pregnant deer are in a special area, where visitor are not allowed to enter. Thank to donations from individuals and companies this place can operate. 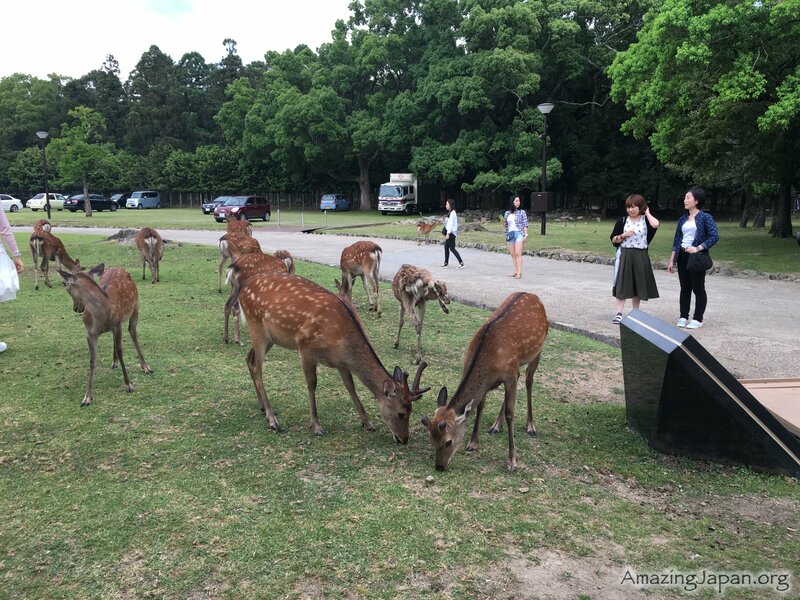 Deer are loved and protected from over 1000 years, and nowadays its also a big attraction of Nara. 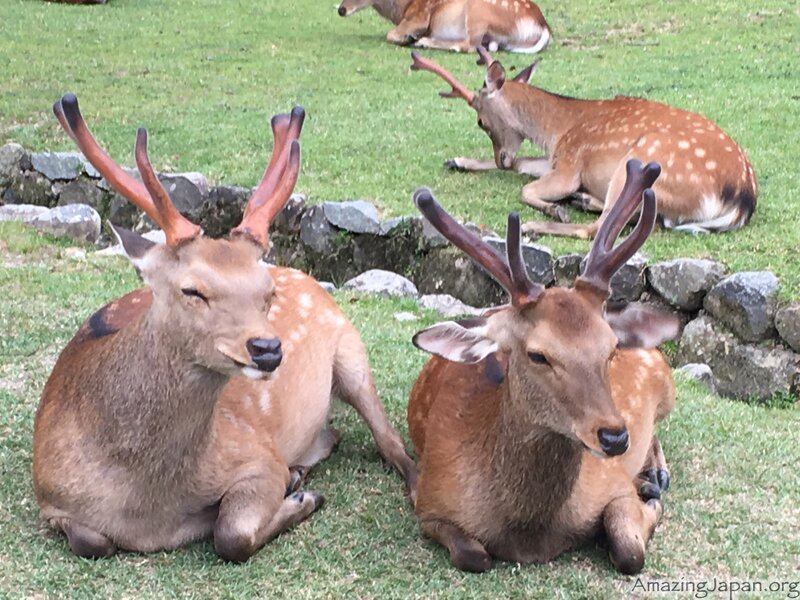 You can interact with more than 1000 deer in the Nara Park. The best way to do this is buying a special crackers and feed them. 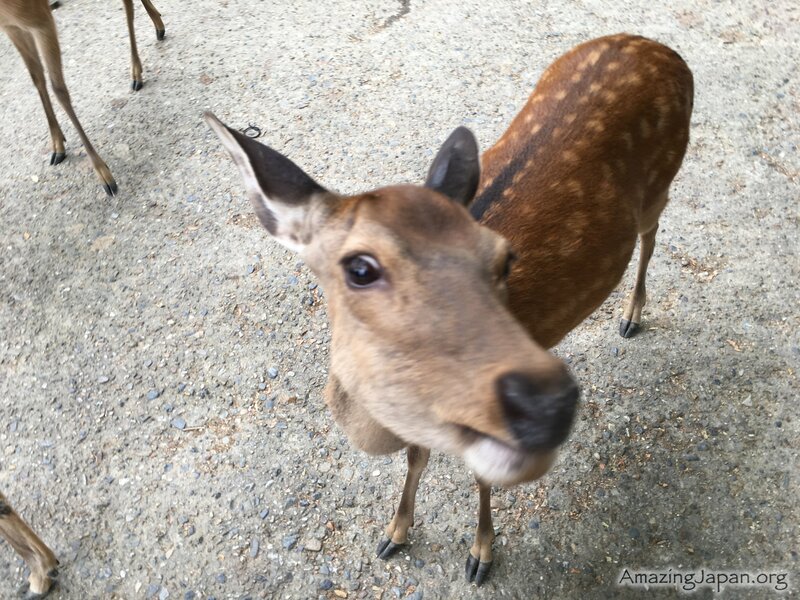 Deer from Nara are very polite, they bow to thank you for the food. Hold the cracker over deer head and the deer will bow one time. When you put the cracker before your back, the deer will bow second time. Reapet the first step an the deer will bow the third time. You must be carefull becasuse they are always very hungry and they often try to steal food from your hand. They can also catch your T-shirt or camera strap and even chase you when they smell the cracers. But don’t worry, deer of Nara are very friendly, so don’t be afraid to play with them. This is a lot of fun! Nara is a special place, where you can really interact with wild animal. It may happen that you leaved Nara in chewed shirt, but you will be also very happy :). 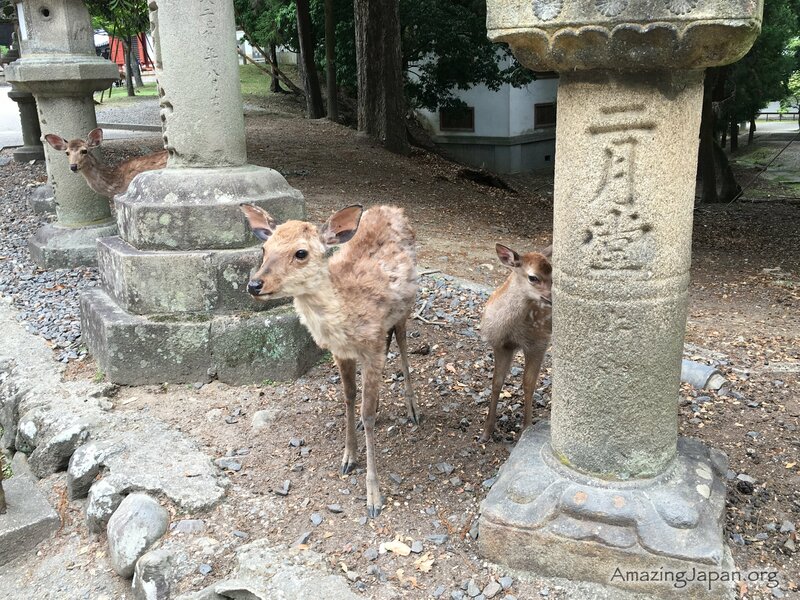 You can meet Sika Deer in another places in Japan, for example on Miyajima, a small island close to Hiroszima, but I will tell you about it next time.